How do you stay motivated and keep your cool when things are going badly around you? To be your own turnaround specialist, to take complete control over your life in a crisis, the first thing you must do is to accept 100% responsibility for yourself and for everything that happens from this minute forward. Above all, refuse to blame anyone for anything. 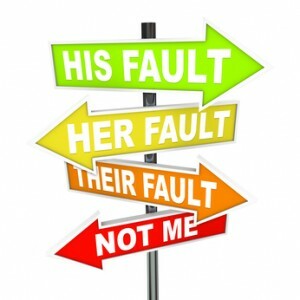 Anger and negative emotions of all kinds are dependent upon blame for their very existence. As soon as you stop blaming other people for what has happened and take responsibility for the future, your negative emotions cease, your mind becomes calm and clear, and you begin to make better decisions. As soon as you stop blaming other people for what has happened and take responsibility for the future, your negative emotions cease, your mind becomes calm and clear, and you begin to make better decisions. Build greater confidence in yourself and learn to solve problems faster with my Self-Confidence Assessment. The starting point of staying calm under pressure is for you to refuse to react automatically and unthinkingly. Instead, take a deep breath to calm your mind and then think carefully about your next words and actions. Imagine that everyone is watching. Imagine that everyone is watching. Imagine that this situation is a test to see what you are truly made of. Imagine that everyone is waiting to see how you will respond. Resolve to set a good example, to be a role model for others, to demonstrate the correct way to deal with a major problem, as if you were giving a lesson. Instead of overreacting, keep yourself calm by asking questions of the other people involved. Listen patiently to the answers. If there is a solution, your job is to find it by fully understanding what has happened before you respond. Ask key questions and listen carefully to the answers. Here are some that will help you get at the facts: What is the situation exactly? What is the situation exactly? How do we know that these facts are accurate? Who is responsible for doing (or not doing) certain things? 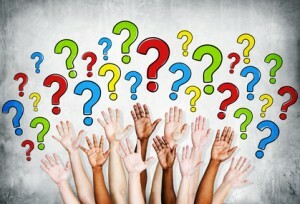 The very act of asking questions and gathering facts keeps you calm and increases your courage and confidence. The more facts you have, the stronger and more capable you will feel about making good decisions to solve the problem and get through the crunch. Begin by asking, ‘‘What, exactly, is the problem?’’ If you are working by yourself, write down a clear statement of the problem on a piece of paper. We find that if you can get the problem down on paper it starts to solve itself. Then write down what all of the possible solutions to the problem. You will find that when you write out your problem and solutions, you will be able to identify the best way to solve it quickly. It may not seem like a problem at all after you write it down. By trying something different or taking a different approach to solving a problem. You may find a new, more beneficial way to go about things. When something fails, by taking a different approach and solving what went wrong the first time, will help you improve over the long run. It might also help to take a break from solving the problem altogether. I find that motivational quotes and inspirational images can recharge my energy, which allows me to return to the problem at hand with full vigor. Sometimes, talking over the problem with a spouse or trusted friend will help immensely to keep you calm and controlled. Go for a long walk and review the situation, examining it from every angle, seeking a possible solution. Remain optimistic, no matter what is going on. Look for something good in the problem or situation. Very often, what appears to be a major setback is an opportunity in disguise. The complete failure of a project, process, or business venture may be exactly what you need because it may compel you to channel your time and resources in another direction. No matter what happens, seek the valuable lesson in every difficulty and setback. Within every problem you face, there is the seed of an equal or greater benefit or advantage. When you discipline yourself to look for the good in the situation, and to seek the valuable lessons that the situation or crisis might contain, you automatically remain calm, positive, and optimistic. As a result, all the powers of your wonderful mind remain available to you to solve the problem or resolve the crisis. Get so busy taking action that and solving the problem and bringing about a solution, that you don’t have time to worry or think about the problem anymore. The only real antidote to worry, is purposeful action in the direction of your goals. When times get tough and you are faced with any of life’s complicated problems, stay motivated knowing that using this technique you can recognize and develop strategies to solve any problem. How do you solve your problems and stay motivated? Join the conversation below. If you want to learn how to build greater confidence in yourself and keep calm under pressure, click the button below to download my Self-Confidence Assessment.